We at Humble Flowers would love to style your wedding with flowers just-picked from our fields. We create beautiful seasonal arrangements based on what is blooming at the time. This option is for the DIY kind of bride. Let us take care of the ceremony flowers, while you and your gals do the rest of the creating! We arrange all the bridal bouquets, boutonnieres, corsages, and flower crowns for the ceremony. We then provide you with buckets of loose flowers to use for any other table arrangements, reception, etc. This option can be picked up at the farm or delivered at an additional cost. This option includes consultation, delivery, set up and design. We work with you to bring your vision to life. By using our antique vases, wooden crates, linens, candles, and lighting to create an ambiance that invites people to feel warm and welcome. With this option, we do it all; from creating the ceremony and reception arrangements to ensuring every detail fits seamlessly together. 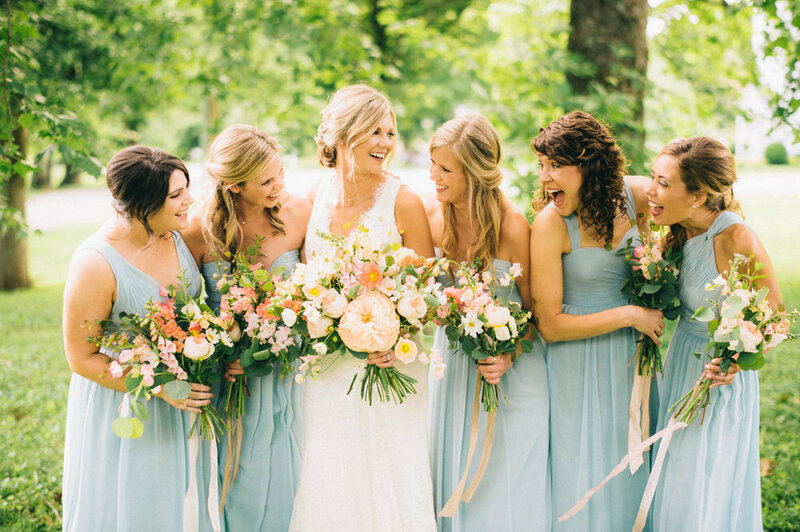 For pricing and more information, please contact Kate@Humbleflowersnashville.com with “Wedding” in the subject line. We look forward to working with you to make your event beautiful and memorable!